WORK ON BUILDING A STRONGER, HEALTHIER RELATIONSHIP…AT A TIME THAT SUITS YOUR SCHEDULE!! 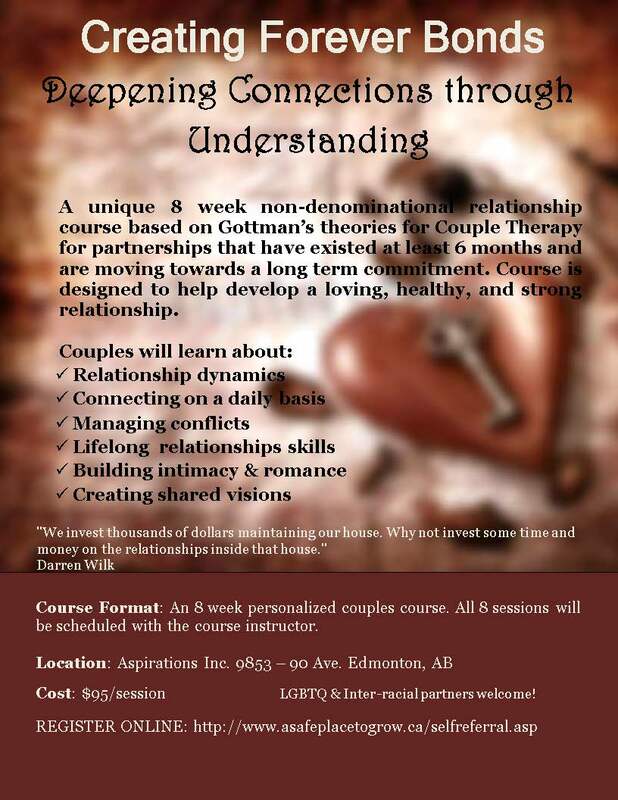 Attend our unique 8 week non-denominational relationship course based on Gottman’s theories for Couple Therapy for partnerships that have existed at least 6 months and are moving towards or already consider themselves in a long term committed relationship. This course is designed to help develop a loving, healthy, and strong relationship and prevent toxic relationship patterns that may lead to relationship dissolution. Course Format: An 8 week personalized couples course. All 8 sessions will be scheduled with a course instructor at first session. LGBTQ & Inter-racial partners welcome!